Morande 510, 0000 Santiago von Chile, Chile. Located in the heart of the civic, financial and cultural center of Santiago, España Hotel offers an easy access to different points of interest such as malls, museums, cinemas, banks and restaurants. 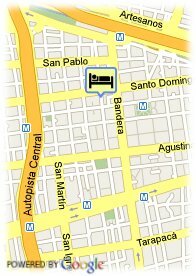 The hotel is specially designed for those demanding good service, hospitality and special care. It is placed in a previliged location near to the important points of the city. Bezahltes öffentliche Parkplätze in der Nähe des Hotels (überdachte) (12.12 €). Bahnhofsnähe, Stadtzentrum, in der Nähe der Altstadt. ältere Kinder und Erwachsene: 10.00 € pro zusätzliches Bett. Visa, Diners Club, Mastercard, Red 6000. 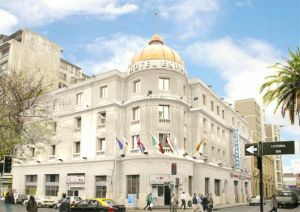 Located in the heart of the civic, financial and cultural center of Santiago, España Hotel offers an easy access to different points of interest such malls, museums, cinemas, banks and restaurants.